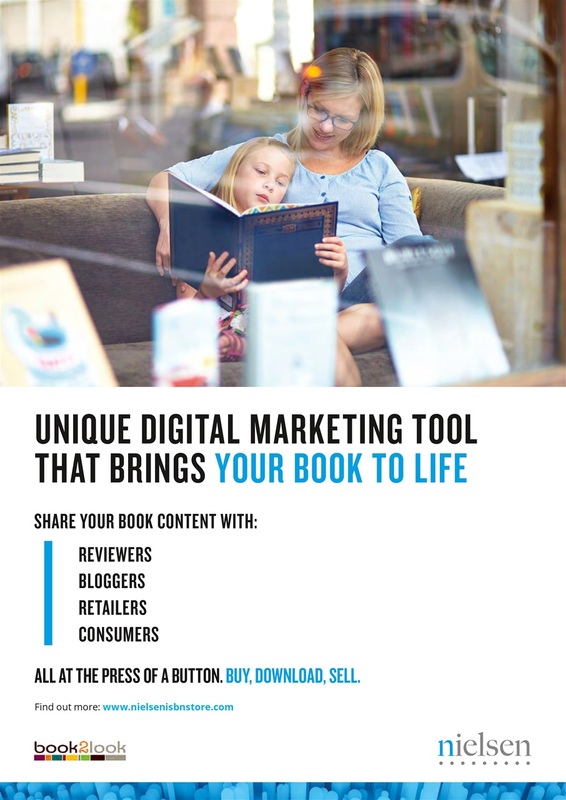 Free your mind! 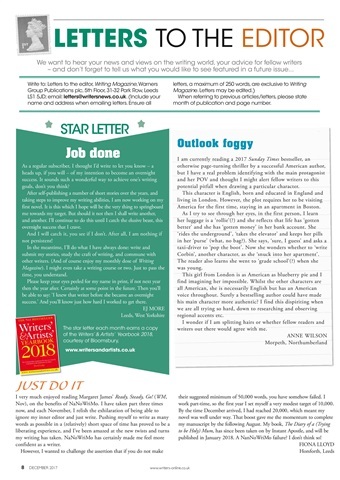 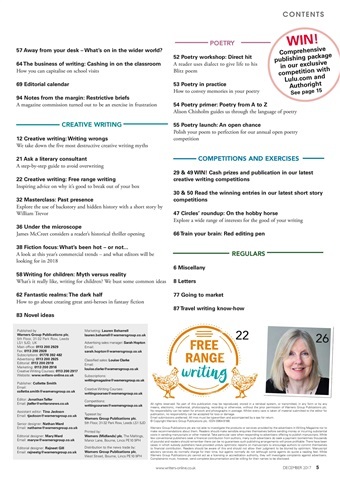 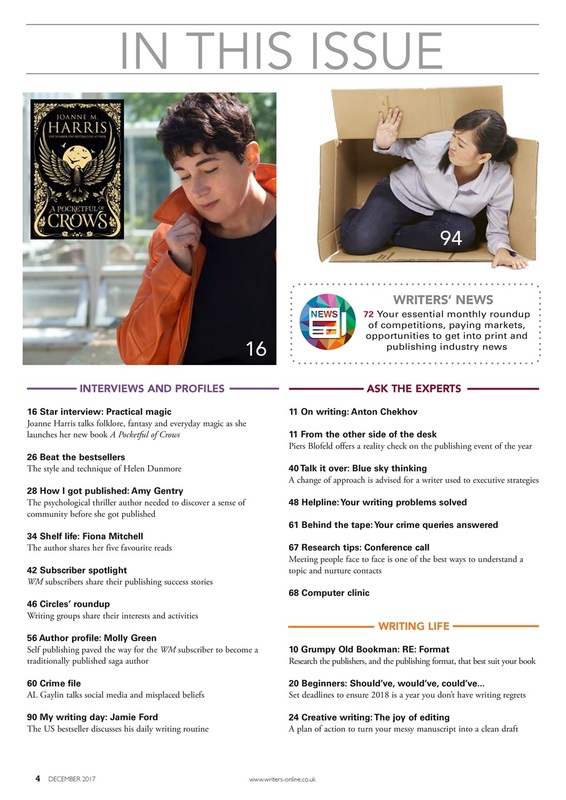 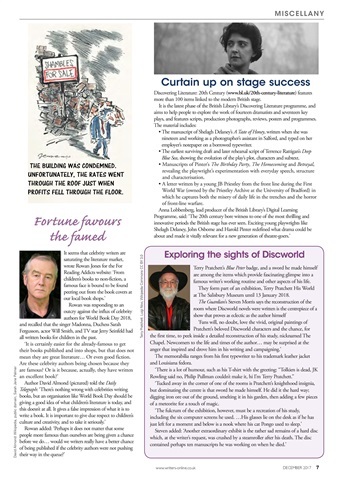 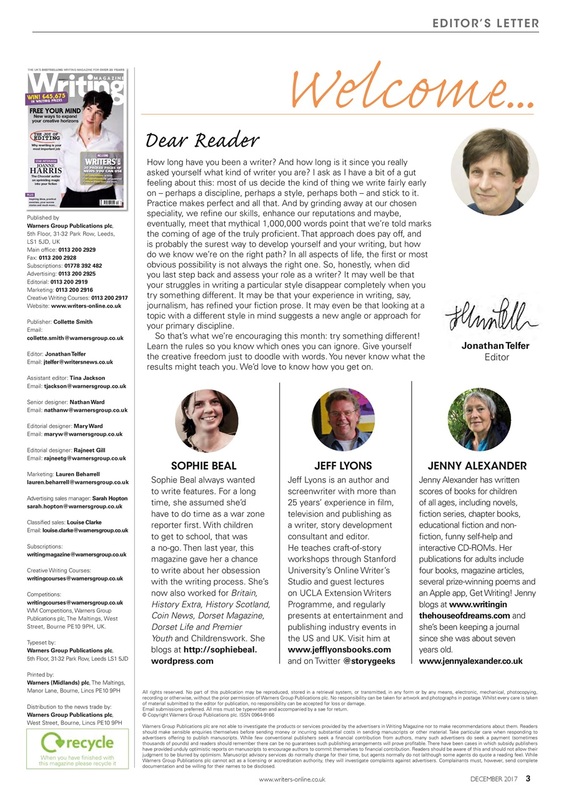 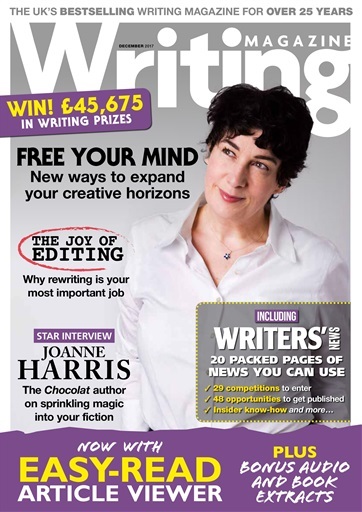 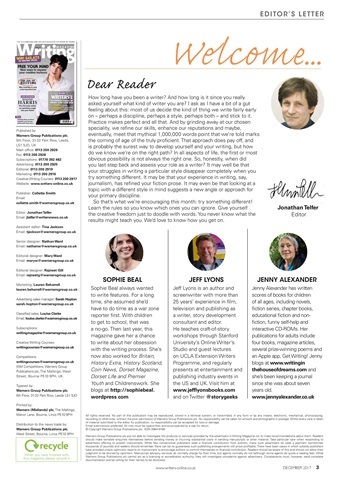 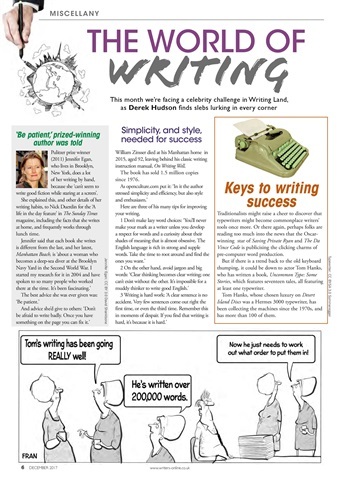 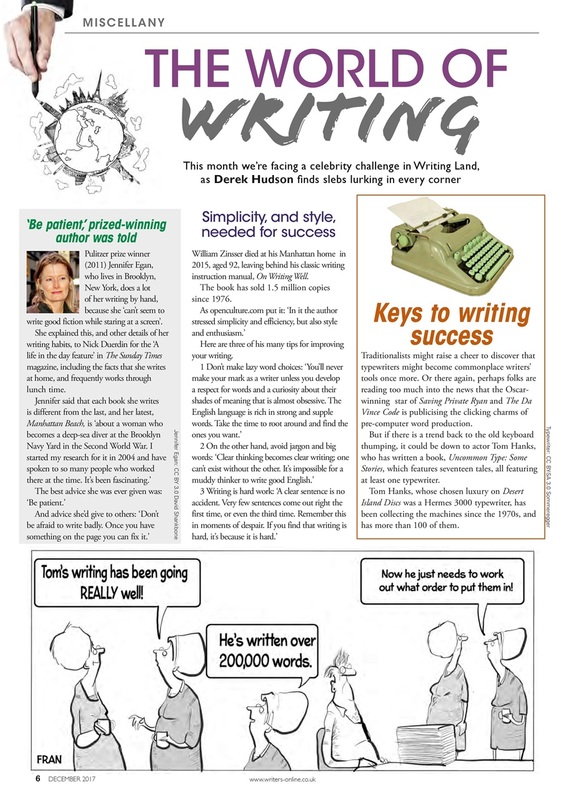 In the new issue of Writing Magazine we look at finding new ways to expand your creative horizons. 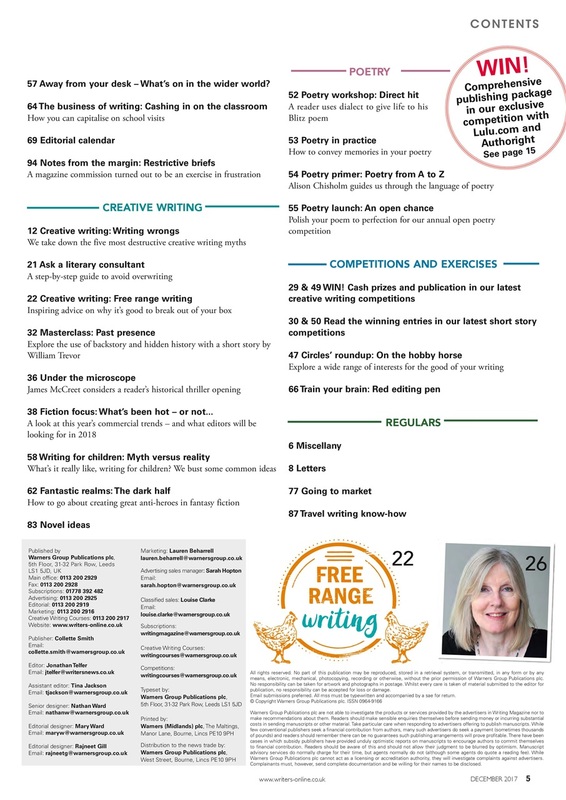 We also take a look at editing, and offer a practical plan to take your work from messy manuscript to a clean draft that will impress editors. In our star interview, Joanne Harris talks about folklore, fairy tales and sprinkling magic into your fiction. Plus inspiring ideas, practical exercises, success stories, writing prizes to win and much, much more!